While out in Montana a couple weeks ago, one of the things that I noticed as part of the latest Headhunters Fly Shop remodel was a large wood and foam carousel display which is made by Fly On The Wheel. The 12" Skagit Fly Wheel was packed full of streamers and was certainly an eye catching way to show off go to fly patterns instead of conventional fly bins which can take up quite a bit of space. This is a smart idea and a great way to put flies up where anglers walking into a shop can see them. 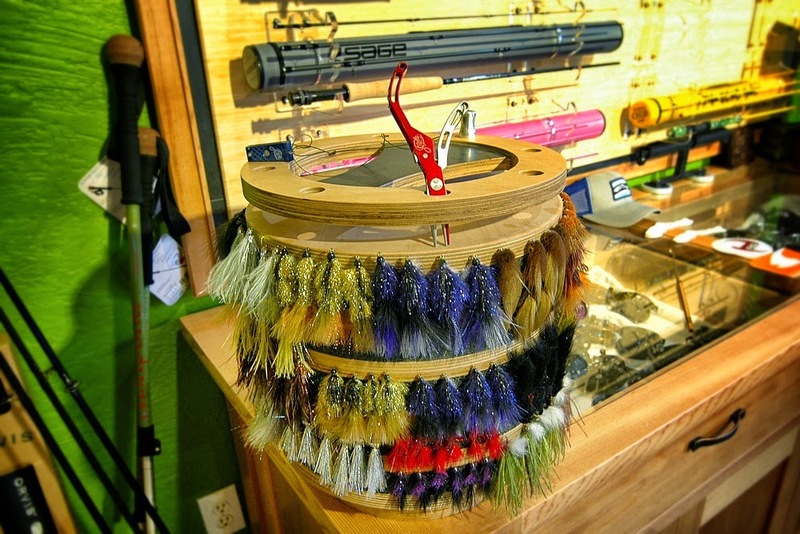 The Skagit Fly Wheel is perfect for the counter at lodges and fly shops and I bet we'll start seeing both the 9" and 12" version on the tables of custom tiers at the various fly fishing shows. The smaller 6" version is perfect for the hobby tier's desk or in my case I've ordered the 9" version for my desk to keep track of flies I've tied or ordered. 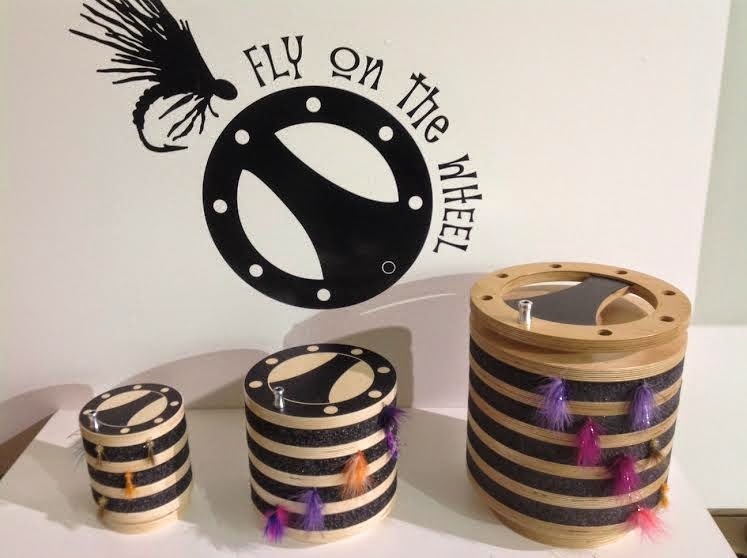 The Skagit Fly Wheels are made start to finish in Sedro Woolly, Washington and offered in three sizes. The 9" and 12" models can be ordered with vinyl or custom wood tops. Check out the Fly On The Wheel website and follow along on the Facebook and Instagram pages for more information.